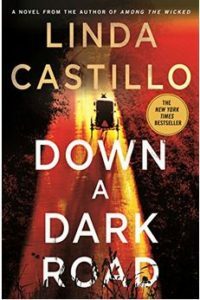 Linda Castillo once again delivers a first-rate entry in her Kate Burkholder series. I have read or listened to every book in this series and Burkholder remains compelling, competent, modern, and take-charge as she bridges both her worlds — the traditional Amish world in which she grew up, and her non-Amish world as Painters Mill Police Chief. She brings a unique sensitivity to tricky situations that straddle both cultures as she repeatedly encounters obstacles during police investigations. This particular case harkens back to her tween years and an early crush on a slightly older boy on the verge of manhood. Now almost twenty years later, he’s been serving time for the murder of his wife. He escapes and in his encounter with Kate, pleads for her help in proving his innocence.